The EPE is also known as expanded Polyethylene.EPE foam compirsed of non-cross-linked closed-cell structures is a kind of new environmentally friendly packaging materials. 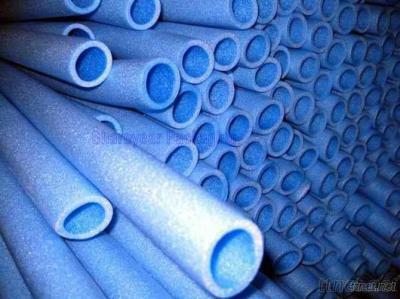 It consists of many single bubbles of low-density polyethylene(LDPE) which is expanded by physical foamer. Being diferent from the frangibility, deformation and poor elasticity of the ordinary foam rubber, EPE foam has outstanding advantages of water proof , moisture proof, shock proof, sound insulation, thermal insulation, good plasticity, strong tenasity ,recycling, environmental protection, strong crashworthiness , good chemical resistance and etc. It is an ideal substitute of traditional packaging materials.